What kind of hugger are you? This past weekend I was caught up in thinking about hugs and huggers. It started off because I had one of those blue days where I was just sad and I felt like I was in desperate need of a hug, which then led me to think even more about the many hugs I’ve experienced and given along the way. And then I ended up coming up with the following categorization of huggers. Where do you fall in the list? Sider slider – We have all experienced or even delivered this kind of hug. Sider sliders are slick. You reach out to hug them and somehow you end up getting a squeeze around the shoulders, from a side angle. The side sliders keep it safe. They don’t want to be rude, but they also don’t feel comfortable with full blown hugs. The Pros- The Pros are confident huggers. They know just how much to squeeze and exactly how long to hug. They usually keep it casual with a small tap on the back that seems like the “this hug is ending” signal. The Pros can read people like a book-they know who to hug and who not to hug. 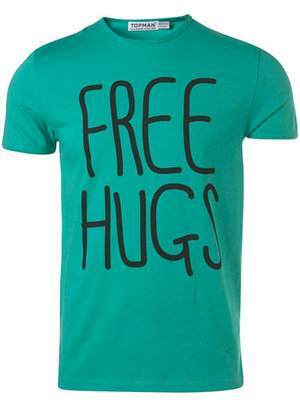 Hugaphobic – This category describes an individual who would spray raid on someone, anyone who attempted to hug them. If you have even attempted to hug an individual in this category, you probably remember that dreaded feeling that you were on the verge of death the moment you wrapped your arms around the person, but it was too late to pull back. You were committed. And once you survived the encounter, you will never make the mistake again. Anaconda Hugger- Anaconda Huggers believe in squeezing love into people. Once you are in the grip of an anaconda hugger, take a deep breath- it may be the last breath you get to take for the next few minutes. Anaconda Huggers are usually people with huge hearts…and strong arms. Oh Wait! You are just an Acquaintance Hugger- Huggers in this group aren’t much for hugging people they don’t know very well, but they will do it. If you have ever been on the other end of a hug delivered by a person in this category you probably remember reaching out for a firm hug (because you’ve watched them saying good byes to their friends and they give them firm, back slapping hugs) and then felt them just slip away and the hug is over before it even began. You walk away literally feel like you’ve just been hugged by a mannequin that thought you smelled bad (and thinking I thought we were friends!). Awkward hugger- Individuals in this group feel lost. They don’t know when to give a hug, when not to give a hug. They don’t know how long to “embrace” so it is either too long or too short. They don’t know whether to give a side hug or a full hug…and usually it ends up being a weird combination of the two. 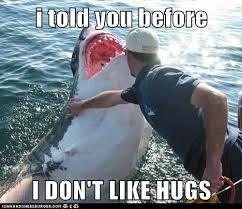 And the poor awkward huggers can’t recognize a hugaphobic when they see one….it can get ugly. Out of all of these categories of huggers I am a little bit of an awkward hugger and the Oh Wait! You are just an Acquaintance Hugger. Hugging friends and family is something that just comes naturally but,…I don’t know you… I don’t know you very well…I just don’t know what to do! To hug or not to hug?